We provide a list of our local plumbing and heating branches in the Devon area below with local address and phone number on each web page so you can add it to your favourites for future use. 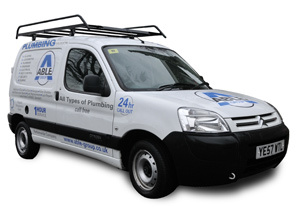 Simply scroll and choose your closest branch for 24 hour emergency plumbing services*, Including boiler repair and service, pipes and drains, kitchen plumbing and bathroom plumbing, operating 365 days a year with no call out charge. As water changes into ice in extreme temperatures, it also increase in volume by approximately 10%. Metal pipes are more susceptible to frost damage than plastic ones, because metal is a greater thermal conductor than plastic. Of the metal pipes available, copper and stainless steel are not as vulnerable as lead. If the ice formed cannot expand along the pipe, sometimes due to further ice formations further along the pipe, the resulting pressure can split the pipe open or force a joint to open up. A burst pipe can cause extensive damage, and will need to be dealt with very quickly.